We agree. Standing out in the market today requires extensive planning followed by near-flawless execution. After all, real estate buyers can purchase a piece of land or a home anywhere. Creating a true destination can help inform and influence buyers’ choices. Because, at the end of the day, what you’re really selling is a lifestyle, and that requires placemaking. In the heart of New Braunfels, directly on the Texas Wine Trail, Vintage Oaks spreads out over 3,300 Hill Country acres. Between the range of acreage property, the resort amenities, and the stunning scenery, it’s not hard to fall in love with this place—and people have and do. In truth, Vintage Oaks had everything going for it from the start, with its remarkable expanse of land about equidistance from Austin and San Antonio and views that elicit aaahs, even from those who think they’ve seen it all. Careful planning to establish a thoughtful development schedule for land releases and community amenities that would bring the place to life were added to the mix by SouthStar Communities. 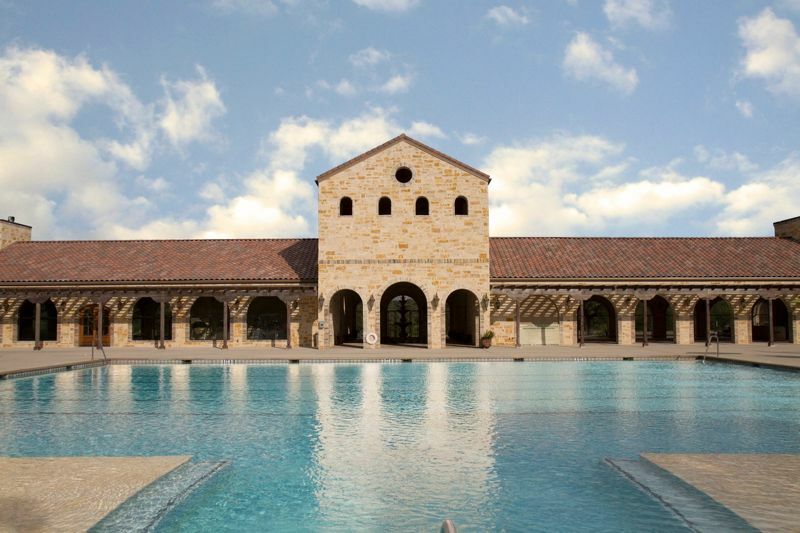 The result is that Vintage Oaks is the fastest-growing community in the Hill Country for the last three years, inhabited by people who routinely recruit their friends and family to purchase here. Nearly a quarter of those who own property at Vintage Oaks are the result of referrals—an incredibly high percentage for any community. When those residents aren’t at the pool, walking along the trails, or watching their kids play at one of the ball fields, they’re actively participating in community events, and planning and attending their own. In terms of Hill Country masterplans, Vintage Oaks isn’t just a place. It’s the place. The sense of place was established at Mission Del Lago long before SouthStar Communities came along and took over the development—and that was a mixed bag. The community had fallen into some disrepair and development had stagnated. But we saw a great promise on the Southside, an area that reflected strong family values going back a generation-plus but had lacked the growth of other parts of the city. Since we became involved in the masterplan development, the Southside has grown exponentially and is now one of the most dynamic areas in the city with great employment and entertainment opportunities at the Toyota Manufacturing Plant and Brooks City Base, respectively, new businesses, a World Heritage Site designation for the San Antonio Missions, and a continued emphasis on growth and infrastructure. That also includes a large contingent of homebuyers coming to the area to recapture the roots of their early days and raise their family, as well as new buyers coming for the affordability, access to employment, and community feel with friendly neighbors, good schools, and well-attended events and activities. Ongoing improvements to amenities, landscaping, and common areas have further helped allow the community to meet the expectations of homebuyers. Mission del Lago is the fastest-selling community in all of San Antonio in its price category and one of the fastest growing across all price points. The main challenge at King Oaks, a masterplanned acreage community in the small city of Iola just outside Bryan-College Station, is also one of its greatest strengths. Establishing and maintaining its unique selling proposition as a private-nature rich community close to Texas A&M but not so close was key to overcoming any negative associations with being too remote. A 60-acre nature preserve that welcomes residents into the community is the first indication you’ve stumbled onto something a bit different. Two phases of amenities, the most recent of which brought in a pool, pavilion, and outdoor kitchen, added further to the community’s appeal while providing connection spots for residents who are actively involved not just in the daily enjoyment of King Oaks, but also in promoting it to their friends and family and turning loved ones into neighbors. The bottom line for us: placemaking is a multifaceted effort that begins and ends with a location, but it’s what happens in the middle that can turn a regular old community into something special. Living at any of our SouthStar communities in Texas is more than the sum of its parts. It’s the way residents feel. How they interact with each other. The activities they take part in or plan, and the friendships they make. When it comes to “creating home,” it’s all about the sense of place. For more information, visit SouthStar Communities or click below to read more about why SouthStar is the obvious choice in masterplanned development.